The Los Angeles Mission will celebrate its 75th Anniversary with a gala event at the Four Seasons Hotel September 21, 2011. The event will honor Anne and Kirk Douglas with the inaugural Anne Douglas Center for Women Award for their outstanding and continuous work on behalf of the women’s center at the Los Angeles Mission named for Mrs. Douglas. There will be a culinary collaboration between Chef Ashley James, executive chef of the Four Seasons, Chef Ben Ford, executive chef of Ford’s Filling Station and Chef Chris Cormier, food service director of the Los Angeles Mission. 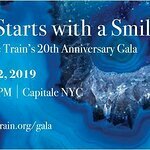 Entertainment will include Ben Vereen, Marilyn McCoo and Billy Davis Jr., Debby Boone and Deniece Williams. Master of Ceremonies will be Byron Allen. The Mission has served the Skid Row since 1934 with food, clothing and shelter for the homeless community. 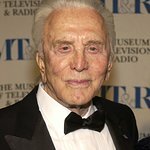 Every year, Anne and Kirk Douglas show their support by feeding the hungry at a special celebrity charity event at the Mission at Thanksgiving. This event will celebrate 75 years of service and raise funding for the continuing operation of the agency. The event takes place at the Four Seasons Hotel Los Angeles at Beverly Hills, 300 South Doheny Drive, LA, on September 21. More information and tickets can be found here.